I had the pleasure to interview Julie Larson Green, Chief Experience Officer at Qualtrics. Julie has been a technology disruptor for over 20 years, changing products used by billions of people every day and pioneering design-led engineering. As the CXO of Qualtrics, she is applying her entrepreneurial drive and her expertise in scaling products for the XM platform. She led the teams that redesigned the Windows experience into a touch-enabled platform and built the Office “ribbon” as a new UI context. At her core, she exhibits an endless curiosity about solving problems with intellect and intuition. Her aptitude for bringing together people, fostering ideas from anyone and everywhere is legendary and clearly reflected in her history of creating high performing and diverse teams. Her ease at translating large scale business challenges to the complexities of navigating entrepreneurship is unparalleled. She received numerous recognitions as a pioneer including the Woman of Vision Award ABIE Winner for Leadership, Fortune Most Powerful Women in Tech, Fast Company Most Productive People and Most Creative People. Thank you so much for joining us. Why did you join Qualtrics? I joined Qualtrics because I wanted a new adventure, and fresh perspective with a company that is youthful in its development as a business. I’d been at Microsoft for 25 years and knew from my own experience as the CXO, the customer and product experiences are driven by the employees who experience and live in the company culture. The company culture affects product and business outcomes. Every disruptive initiative starts with resetting the parameters of the culture, which is something the CXO needs to lead. The opportunity at Qualtrics is completely different than what I’ve done before because at Qualtrics, I’m helping pioneer a completely new paradigm in a rapidly growing area of business-critical importance: Experience Management. I’m breaking down the virtual walls between product, brand and employees that create divisions based on areas of responsibility to build better products, strengthen customer engagement and increase satisfaction of the employees. It’s a part of my always asking “why?”. As CXO, I am changing how people think about experience. It’s often business nature to segment employee insights from brand, product and customer insights. Human resources manage the employee analytics, marketing manages brand and product with research and service and for product experience — research and service usually oversee customer experience insights. The pieces of the puzzle are fragmented and separated into different parts of the business. In addition, most businesses still function on operational measurements and most of the time they are lagging success indicators. The leading indicators are the emotions and sentiment people feel about their experiences with the company — as employees building the product, their perception of the company culture along with customers’ opinions of the brand and their actual buying experiences. Companies think they need to focus on customer sentiment and commonly lose sight of how important the employee and brand experiences are to business success. They affect everything from product innovation and quality, and sustaining a strong, creative employee base to profitability and growth. Qualtrics is building the tools to connect all of this experience data (emotional data) with the operational data in the XM platform. Now, every business can have a consolidated business model to capture and connect the data into valuable insights — a system of action not just a system of record. It is about understanding how the broad range of experiences impact a company’s performance and how to use this data to make wholistic business decisions. I’ve been asked a few times about this and often I speak of the mentors who have helped shape me throughout my career; particularly in my early career. Since this is all about change, I’m going to mention a few of my current mentors. One thing I’ve embraced for a very long time is that mentorship continues at every stage of a career. I always want the gift of being mentored. When joining Qualtrics, I began working closely with Jared Smith (Co-Founder) to evaluate changes in people management and product development. His structured thinking approach of evaluating a system and not just its parts has been immensely helpful as we evolve our hiring practices while we grow. This thought process sparked me to use my skills in creating systems for products as a way of developing our people programs. Qualtrics is the antithesis of a hypercritical atmosphere. Rather, Jared and the company are always looking for new ideas and ways to approach things including talent management and culture to product innovation. I’m excited every day to take risks and come out of my shell, not worrying about a “whack a mole” experience. 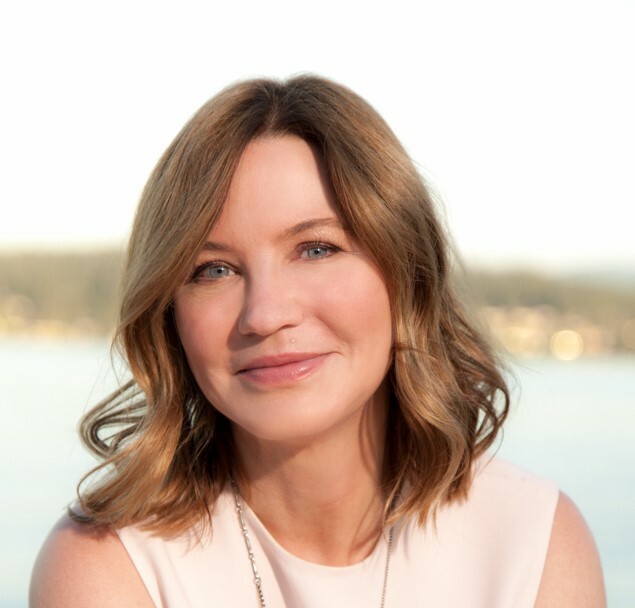 The executive coach I’ve had for the last 3 ½ years, Jennifer Cobb Moynihan, has taught me a bit about running with scissors and thinking outside of my own head by seeing myself as others may see me. The funny thing is that when I first met her, while I really liked her, I thought “I don’t need an executive coach… I’ve made it this far on my own. But let’s see what she’s got.” After working with her, I began to think about how to reach broader audiences as a leader and as a person. Jennifer helped me believe in myself again by showing me how I’m uniquely talented, during a challenging time in my career. She helped me retool the way I approached many different things such as how to share my story to wearing more color, and being more comfortable with standing out because most of my career I thought it was better to blend in — making things palatable to the widest number of people. As a leader, people look at and to you in a different light as a signal of the culture and what’s deemed as okay. As a matter fact, I was doing an onstage interview at Bloomberg Tech and I’d brought two outfits, my usual black attire and a navy and orange outfit. Jennifer and I had an argument in the hotel room that morning about whether I would wear the black or the navy and orange. I acquiesced and wore the color. Turns out, the person interviewing me whom I admire greatly, Emily Chang, had chosen a navy and orange outfit as well! It made for great fodder and conversation about stepping up and standing out to drive innovation; something that might not have transpired otherwise. Jennifer is a reminder to me to always be open to the possibilities of learning something from everyone you meet. I’ve had the privilege of mentoring the founders of Harper Wilde, Jenna Kerner and Jane Fisher. While I’ve been able to give them perspective on leadership, operations and product development, they have given me so much more. They helped me think back to the start of my career and recognize the things I didn’t think I knew then but really did. What it’s like to be an early stage company, the challenges of people management from hiring to letting people go who aren’t the right fit for company, making me more sensitive in my role at Qualtrics. It’s all about substance in the CXO role and how critical the employee and customer journeys to a successful, profitable business. I’m focusing on showing why there’s more to the CXO (Chief Experience Officer) and why it’s not just a flashy new title. I am creating a community of like-minded CXOs to demonstrate the impact of the role as a business-critical imperative for every company. Competitive success is based on the ultimate experience, which means planning and designing every experience from the beginning to end from the employee to the company to the customer. 1. “Sugar cookie, be yourself”: Someone said this to me, “don’t try be a Christmas cookie this time and a Valentine cookie the next, just be proud of who you are.” As a leader, I’ve been asked to talk about things that might sound great in presentation or in the press but aren’t true to me. Recently, I was asked to talk about something in tech in a way that wasn’t genuine to me. I learned a long time ago that I won’t do a good job pretending. Instead, I talked about how I perceived the tech and it was extremely well received because I did the topic justice in my own way. 2. “Don’t do everything, do what’s right for you”: I’m given many very cool or exciting opportunities, but they are often not the right opportunity because of where I am and what I’m doing today, like a recent chance to be a part of a documentary. It’s important to stop for a moment and assess whether or not you should be doing something and if it’s the right thing for you to be doing or better for someone else. 3. “Good ideas can come from anywhere”: It’s my mantra. We always need to be open to the unexpected — whether you are reading something or going into a meeting, people will have ideas that never occurred to you that can dramatically improve what you are working on. Be prepared to not shut down ideas or thoughts but encourage the exploration. Dax Shepard — Armchair Expert. He brings a depth to the discussion with humor that is very refreshing and authentic. His conversations are very though-provoking for me, making me often spend more time considering different perspectives on many topics. One episode, in particular, is the Katie Couric interview and knowing people’s backstory. Dax is very transparent and owns his backstory of how he got into and out of the troubles in his life, he is always focused on moving forward. He approaches each conversation an opportunity to get more insight and being vulnerable with an openness to learning something new. It’s something that I’ve always done, taking the risk of showing my humanness and vulnerability. When I’m in my 80’s, I aspire to be a badass like Ruth Bader Ginsburg. Having private time with her would be life-changing because she is everything I want to be at that age — sharp, current and continuing to have a huge impact in the world.